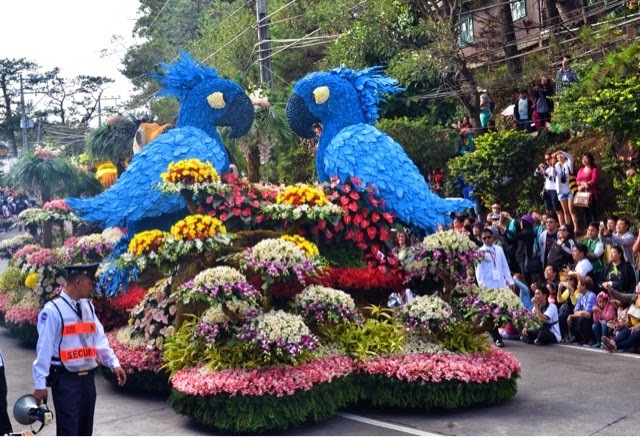 Baguio, the summer capital of the Philippines bloom every February as they celebrate the annual Panagbenga Festival. 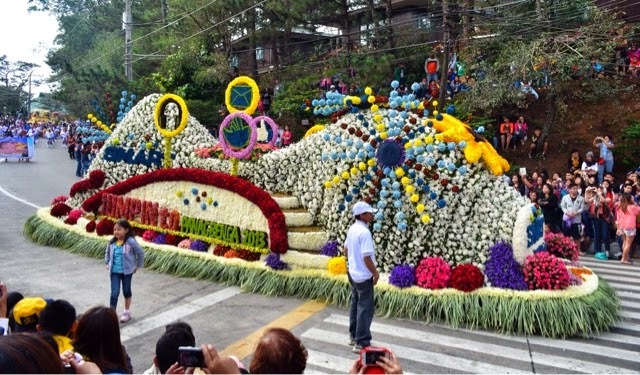 Panagbenga which actually means "season of blooming" is a symbol of tourism, culture and local flower industry. The festival began in 1995 to boost the local economy and revive its tourism after the devastating earthquake in 1990. 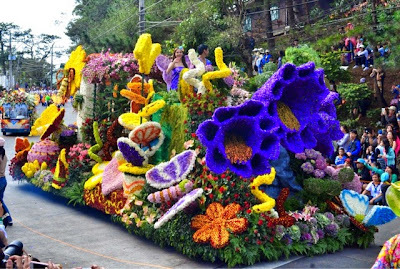 The highlights of the Panagbenga Festival is the floral float parade happening during the last weekend of February. Almost a million tourists go up to Baguio to witness different themed floats with thousand of colorful and beautiful flowers which are actually grown in the towns of Benguet. The parade is participated by different organizations and commercial establishments, it starts at the Panagbenga Park and ends in the Baguio Athletic Bowl traversing the iconic Session Road. The parade is accompanied by marching bands and street dancers in colorful costumes. It also showcases the culture of Cordillera Region with its traditional clothes and music. Tips and Reminders to Enjoy Your Stay in Baguio during the Panagbenga Float Parade. 1. Accommodations are always fully booked during the Panagbenga season, make sure to booked two to three months before the grand Panagbenga weekend. 2. For commuters, booked your returning bus to Manila at an earlier time to avoid delay. 3. 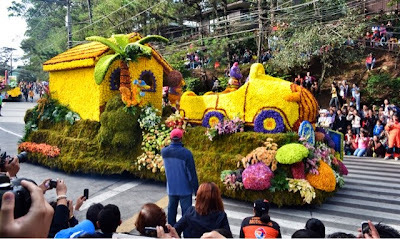 For private car owners, commuting within Baguio is recommended because major roads will be closed and finding a parking space could be a problem. 4. Tourists are lining up at the Session Road as early as 5 in the morning, make sure to come early to reserve the best spot to watch the parade. 5. Eat your breakfast before going to the parade to give you enough energy for the 2-3 hours waiting time. 6. Wear comfortable clothes and shoes, you might not be able to move properly due to volume of people. 7. Do not litter, keep your own trash and promote proper waste disposal. 8. 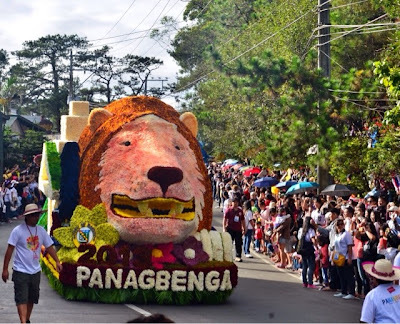 Bring your cameras with you to document your Panagbenga experience. 9. Bring a lot of patience, you will do a lot of walking, experience vehicular traffic and long waiting time. 10. Enjoy the festival with your family or friends and mingle with other tourists. Have fun. Below are some of the colourful and beautifully designed float during my Panagbenga Flower Festival 2013 experience. Thank you Teri for visiting the blog. 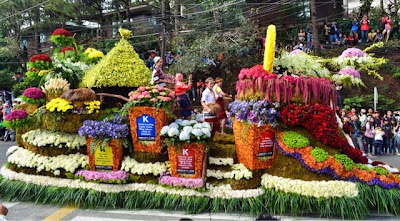 Yes, it's nicer to watch in an elevated place but the experince is different if you are much closer to each float.